The body knows how to take care of itself during sports. You just have to let it. 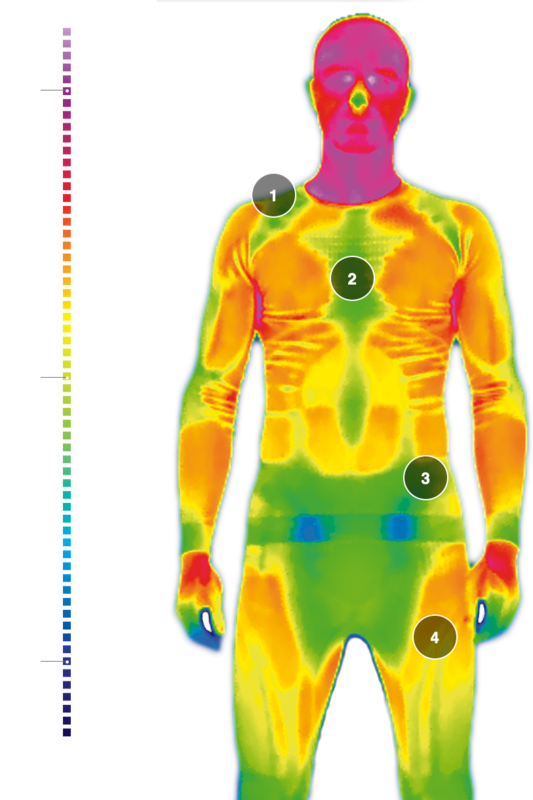 The challenge: How can we keep your body core temperature at the optimat 37°C?. In order for the human body to function, its body core temperature must be 37°C. If it threatens to drop below that, the body tries to maintain it by shutting off the blood flow in the veins and capillaries to the extremities, and by starting to shiver. It‘s different with sport. Physical exertion and activities dilate your blood vessels. And when the body temperature begins to climb, the body starts to sweat. 1 | APPROX. 28 °C EXTERIOR TEMPERATURE – HEAT INSULATION. ISO-Shoulder (Part of the Climatronic® System) protects the shoulders in winter against the effects of cold. Seen here in yellow. 3D Bionic Sphere® System. The complex system of channels operates as insulation against cold, whilst developing an interior dynamic that effectively draws away warmth and moisture from garments over a large surface area. 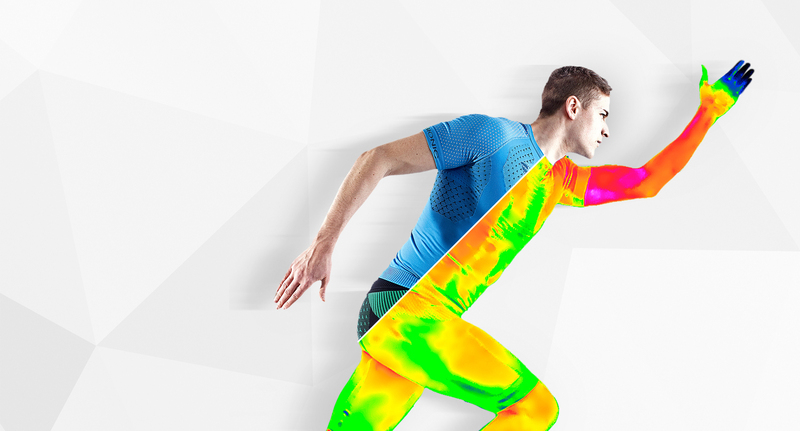 The threat of post-event overcooling is eliminated, yet you still won‘t feel the wetness of sweat there. The activity in the interior of the 3D Bionic Sphere® System is visible through the rapid alternation of green and yellow colouring within this area. Warmth is needed in the body‘s core to support the interior organs. Warmth is only released at a medium level there. Optimal overall results are only possible when ISO-Pads for the hips are combined with the Air- Conditioning Channel® to balance out the warmth. (Both a part of the Climatronic®System) Seen here in green/ yellow. The thigh muscles produce warmth that is released in a regulated way. The thighs are also kept warm through exterior ISO-Pads (part of the Climatronic® System).